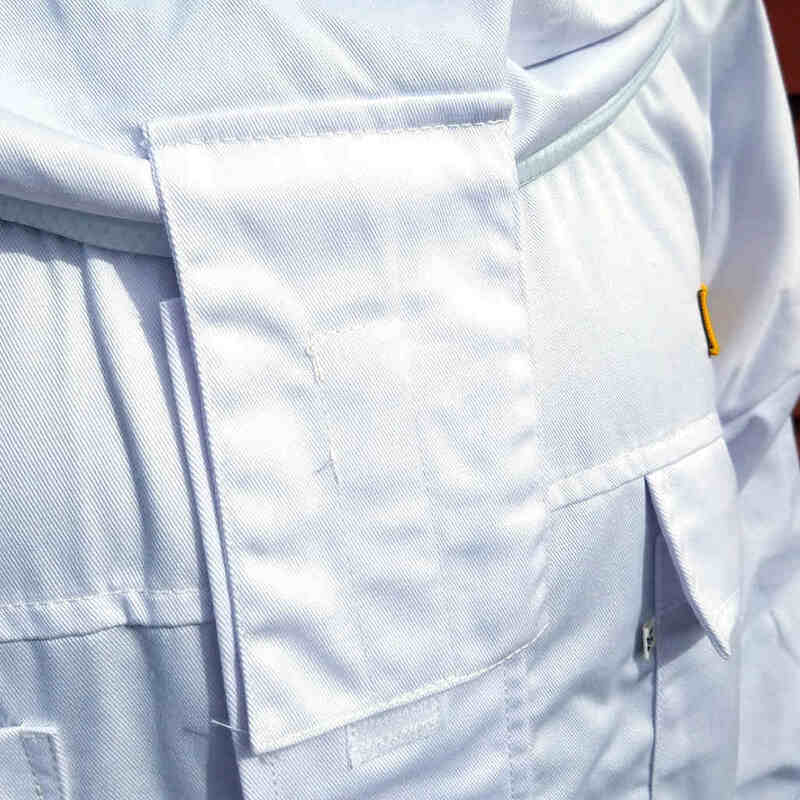 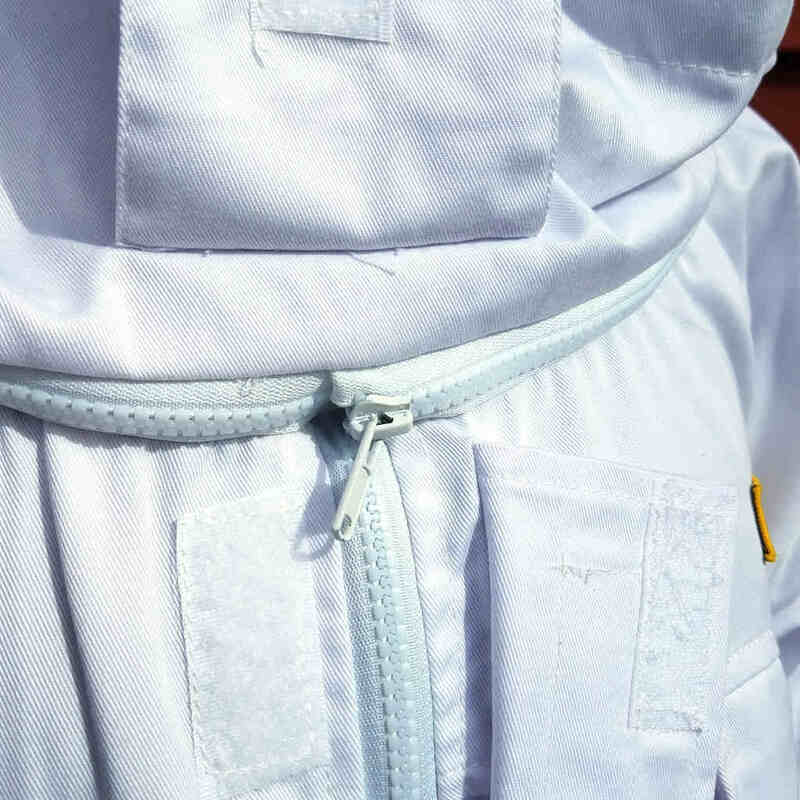 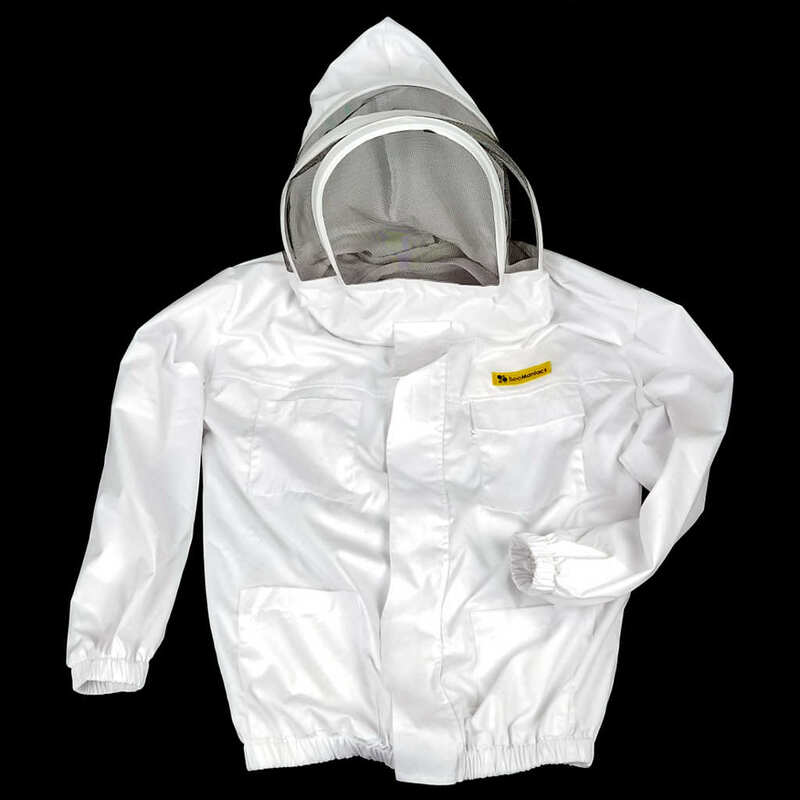 Basic jacket with a comfortable fencing-style veil. 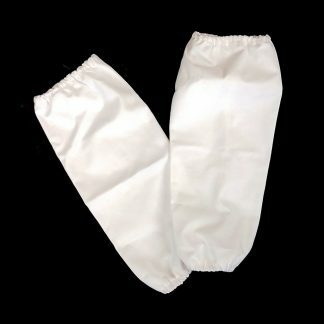 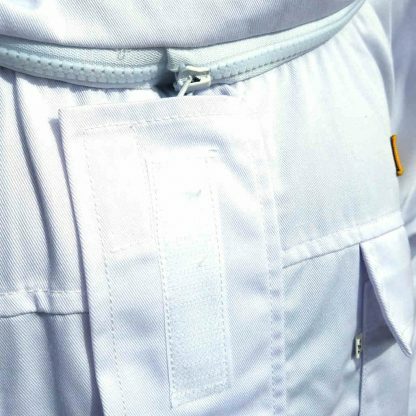 When you unzip the veil, it will fold/collapse on your back and allows you to seat in a car without having to remove the jacket. 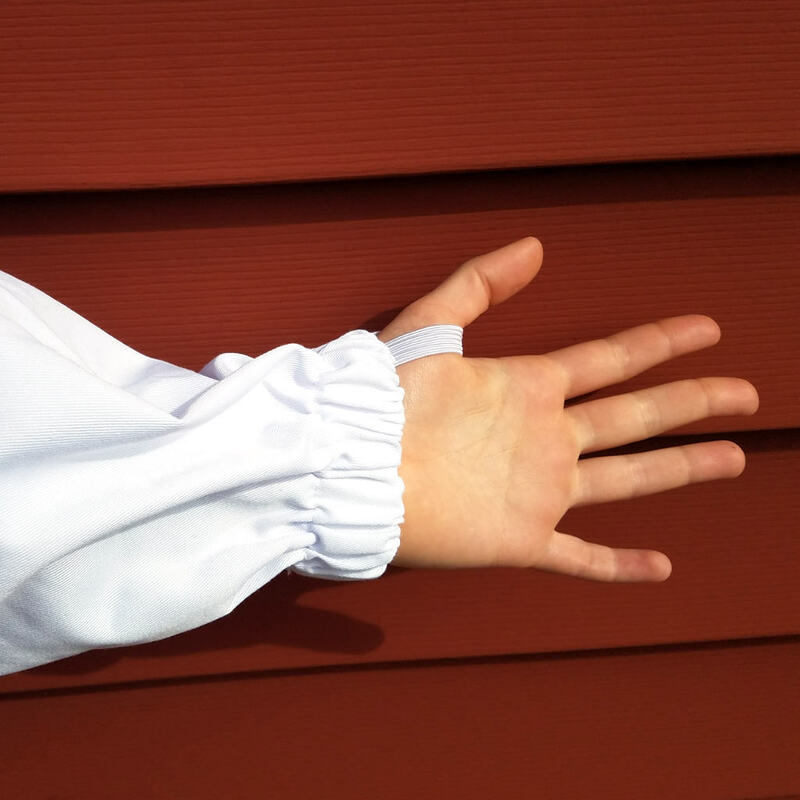 Includes thumb lock to keep the cuff in place when you put your gloves. 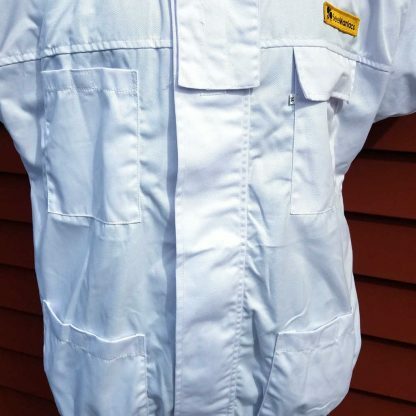 We usually recommend buying one to two sizes bigger than your regular size. 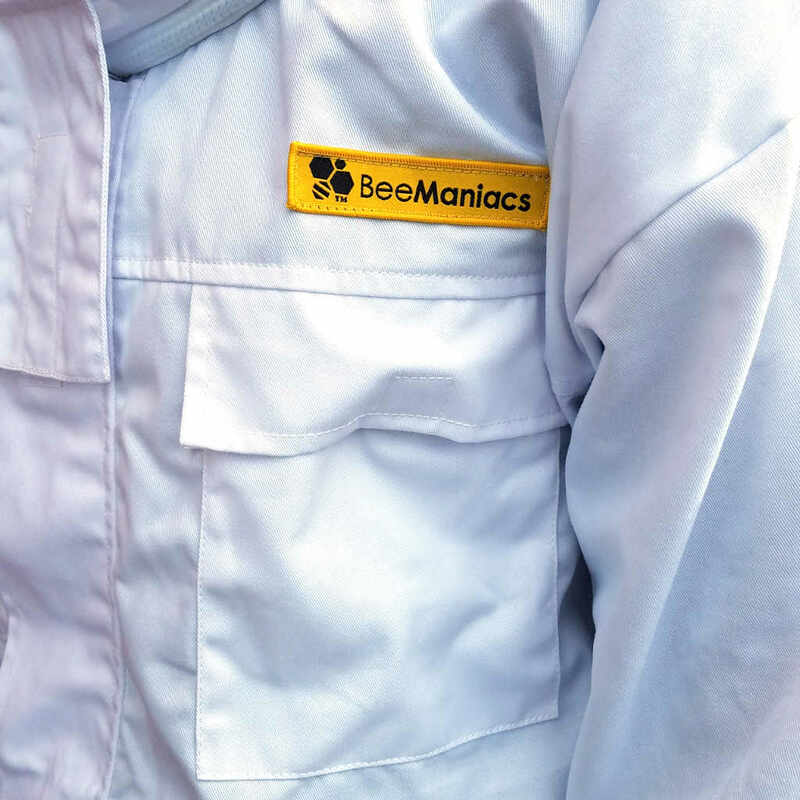 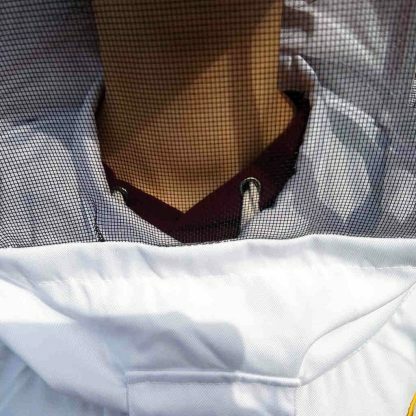 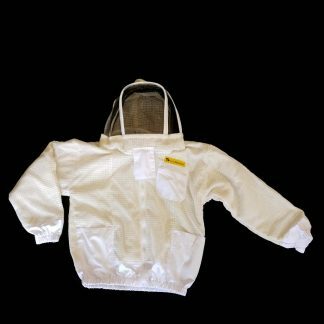 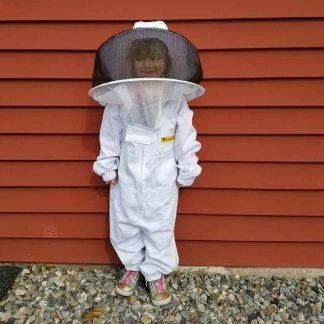 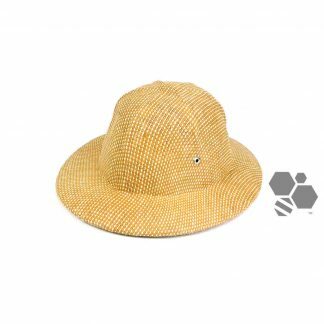 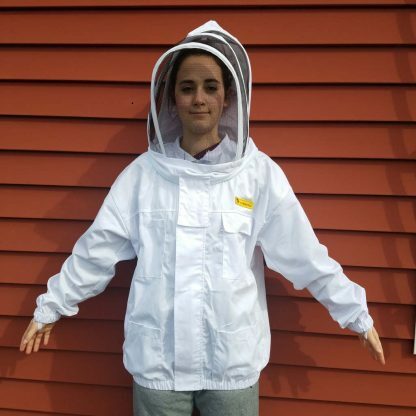 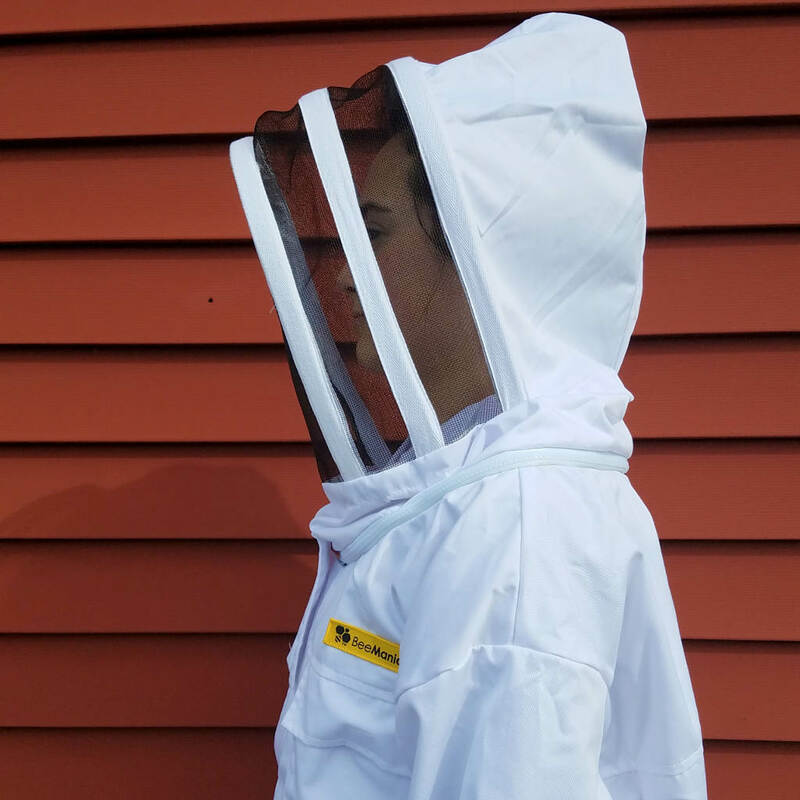 You want to wear your protective jacket on top of other clothes and still be able to move around while you inspect your beehives.